The 38th general assembly of MedCruise was officially opened by Minister of Sea Affairs, Islands and Fisheries J. Diamantis, in Athens this morning. With 108 Mediterranean ports and cruise line representatives attending, the Port Authority of Piraeus is hosting the assembly. The managing director of the port authority, G. Anomeritis, gave the opening speech, followed by the deputy minister of culture and tourism, G. Nikitiadis. Representing the port authority was also Stavros Hatzakos, director of administration. In his opening speech, Diamantis, invited cruise lines to participate in the development of port infrastructure and related passenger services. Giovanni Spadoni, president of MedCruise and in charge of cruise services for the Port of Livorno, commented that the challenge for Mediterranean ports is to keep up with “not only a bigger number of ships, but also bigger ships,” forcing ports to undertake expansion projects over a short period of time. Also, as marquee ports get congested, Spadoni said, nearby ports can benefit, but must improve their infrastructure. But the required investments are too big for public ports to undertake by themselves, according to Spadoni, who suggested that private investments are needed. He also referred to Greek plans to privatize the airports and seaport as governments no longer have the funds to spend on infrastructure developments. 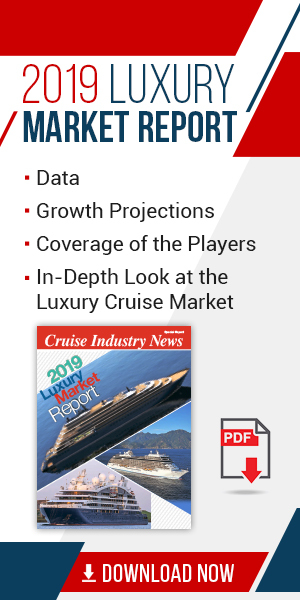 “Privatization is the short-term solution to meet the demands of the cruise industry,” Spadoni said. MedCruise has launched a project that within the next 30 days will be announced, offering different investment models to its member ports. The organization is also working to arrive at common environmental standards regarding emissions and other discharges for the Mediterranean area. Spadoni also said that the port organization is prepared to help Tunisia and Egypt rebuild their cruise traffic, and noted that what affects one country can impact the entire region. With one or two countries off the cruising map, he said, the regional itinerary offering becomes weaker. He proposed that MedCruise can help by establishing a work group composed of ports and cruise line and focus on security and terminal conditions. A major expansion program is underway in Piraeus to build new cruise piers and a terminal in combination with a five-star hotel. The port can presently host six cruise ships at a time, but will be able to accommodate from nine to 11 ships once its new facilities are completed. The project also includes a monorail that will take passengers around inside the port and to the train station for an 18-minute ride to the Acropolis. A 1 billion euro development area – for cruise and cargo -- covers some 330,000 square meters and is already partially privatized, with 70 percent through private concessions and 30 percent through public funding.